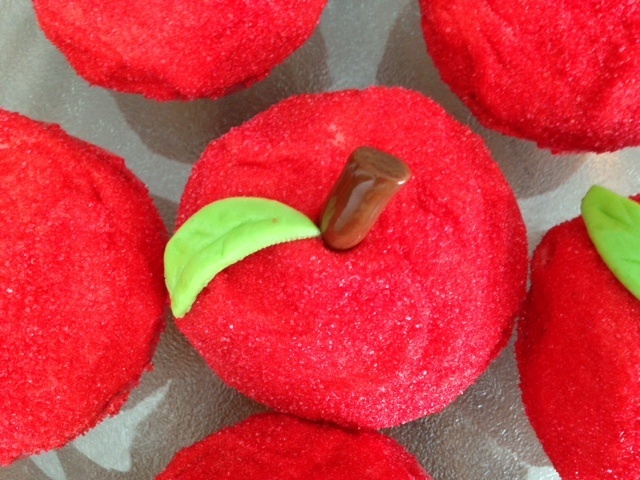 Line cupcake pan with red Wilton large cupcake liners. Preheat oven to 350 degrees. Whisk first 7 ingredients together into a large bowl. Set aside. Combine butter and sugar in a standalone mixer with paddle attachment until light and fluffy. Add eggs one at a time, combining throughly between additions. Add vanilla. With mixer on low, slowly add 1/3 of dry ingredients, then add 3/4 cup applesauce. 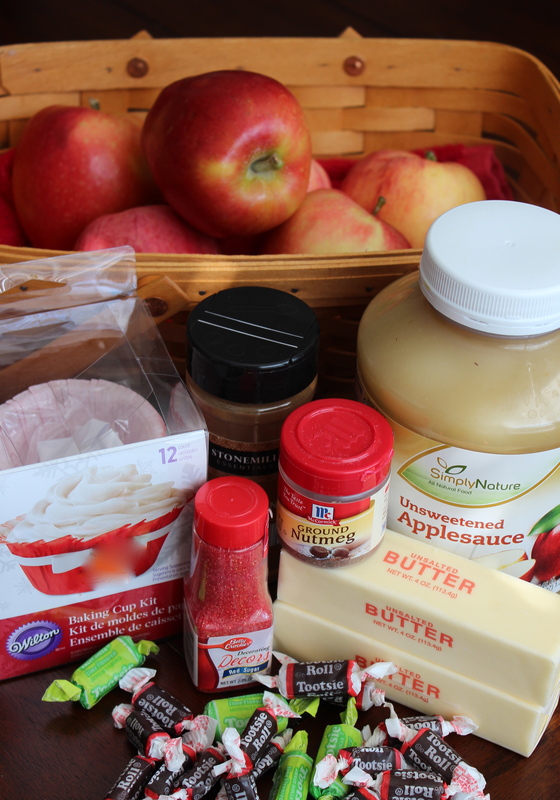 Add 1/3 more of dry ingredients and follow with remaining applesauce. Add last batch of dry ingredients, mix until combined. Fold in chopped apples. 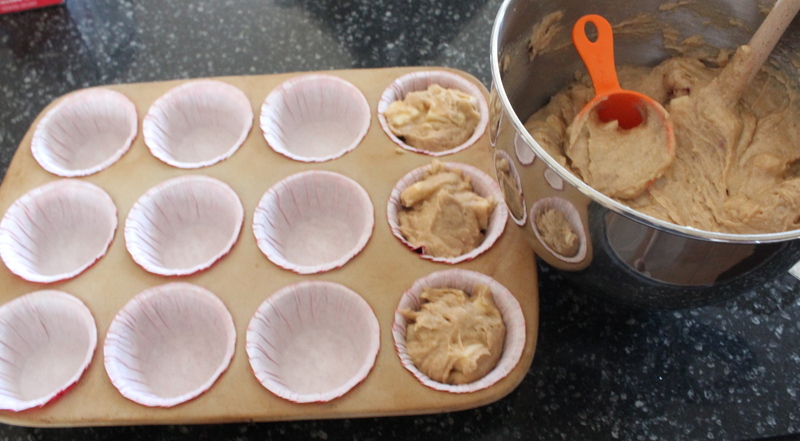 Using a measuring cup add enough cake batter to each cupcake liner until it reaches the top. Smooth tops with a butter knife and place in center rack of oven to bake for 35-40 minutes or until toothpick inserted comes out clean. 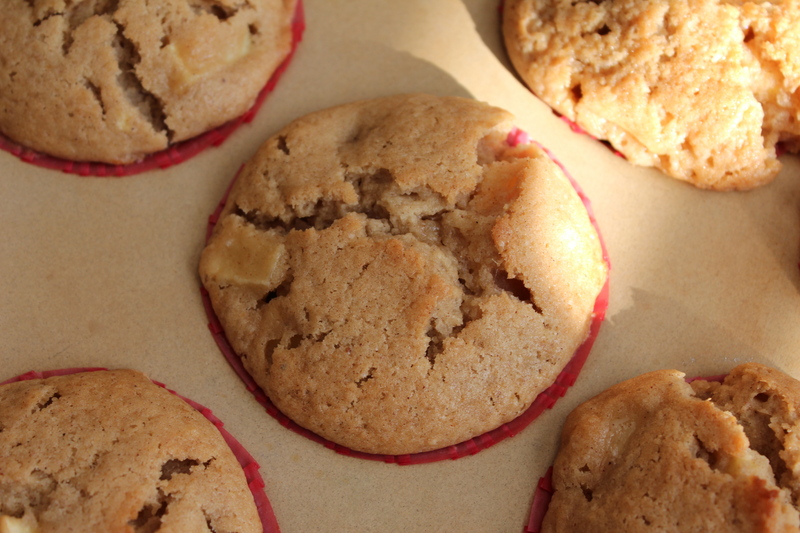 Add remaining batter to miniature cupcake liners and bake those for about 20 minutes. 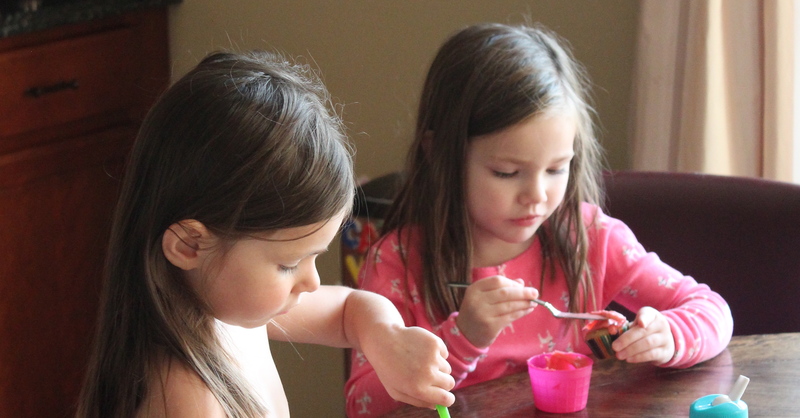 For the frosting, add all frosting ingredients to a large bowl and mix until combined. Tear off a sheet of paper towel and lay flat on countertop. 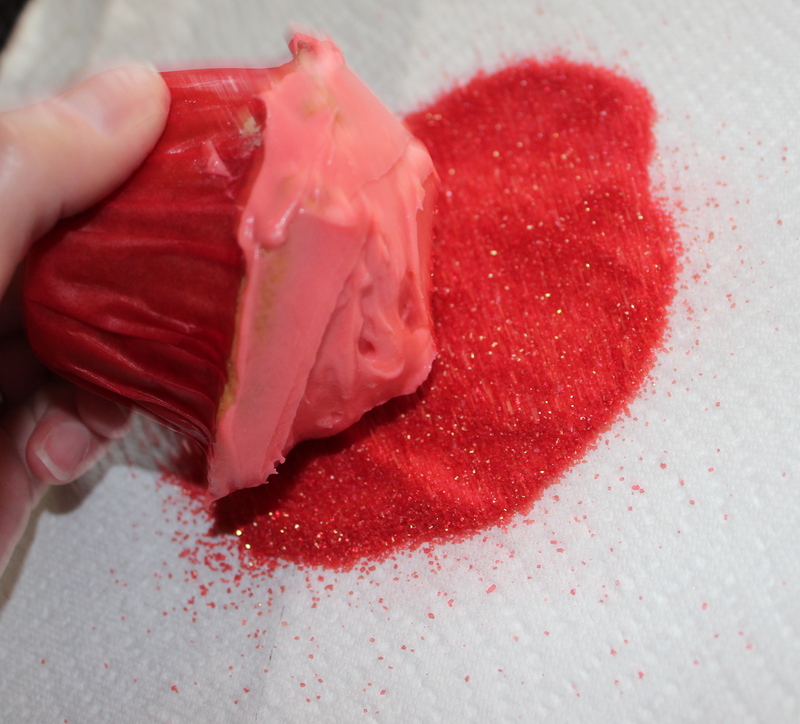 Pour all red sprinkles in center of paper towel. Using an offset spatula, frost cupcakes one at a time. Dip frosted cupcake immediately into pile of sprinkles rotating cupcake as necessary until all of top is covered in sprinkles. 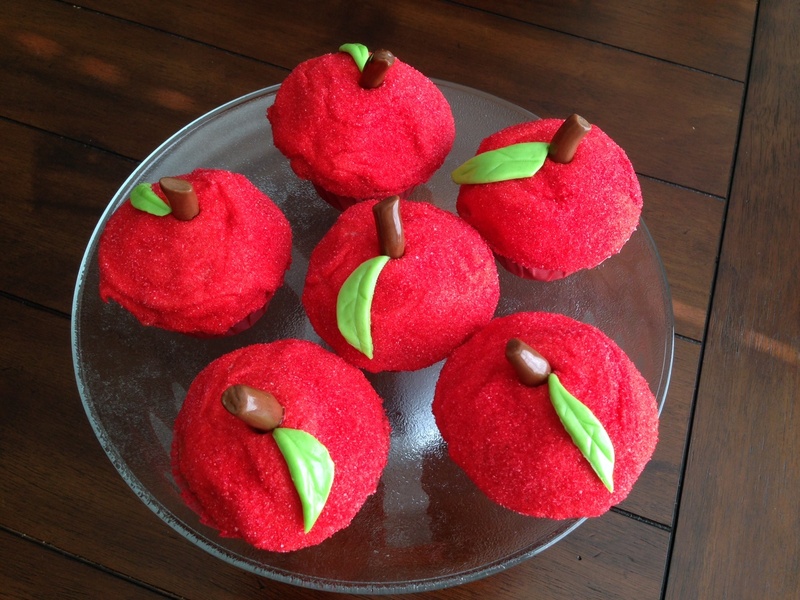 Continue to frost and dip cupcakes until you have a shimmering dozen of red apples. Lastly, take the brown Tootsie Rolls and shape into a stem shape. You may need to microwave them for five seconds to soften them up a bit. 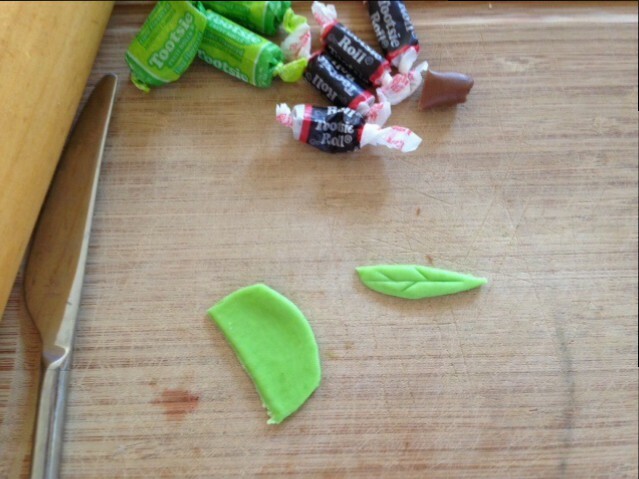 For the green Tootsie Rolls microwave for about five seconds each and use a rolling-pin to roll them flat. Cut out leaf shapes with a knife and add details such as the veins. Refrigerate cupcakes until a half hour before devouring. The apples obviously do not fall far from the tree. 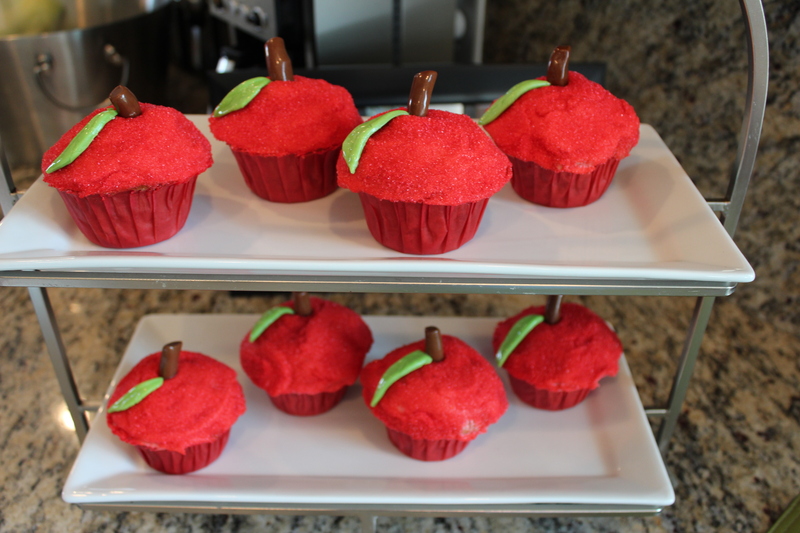 They look absolutely beautiful and just as good to eat!